The Israeli state has violated international law more than any other country, yet has rarely, if ever, been held accountable for its crimes and misconduct. Israel’s successful public relation campaigns through the ever-willing western media partners, coupled with the relentless work and pressure carried out by its powerful backers in Washington DC, London, Paris and elsewhere, has borne stupendous results. For a while, it seemed that Israel was capable of maintaining its occupation and denying Palestinians their rights indefinitely, while promoting itself as ‘the only democracy in the Middle East’. Those who dared challenge that skewed paradigm through resistance in Palestine were eliminated or imprisoned; those who challenged Israel in public arenas anywhere in the world were smeared as ‘anti-Semitic’ or ‘self-hating Jews’. Things seemed to move forward nicely for Israel. With American-western financial and military aid, the size, population and economy of illegal settlements grew at a fast rate. Israel’s trade partners seemed oblivious to the fact that settlement products were manufactured or grown on illegally occupied Palestinian land. Indeed, for a long time the occupation was very profitable with very little censure or pressure. All that Israeli leaders needed to do was to adhere to the script: Palestinians are terrorists, we have no peace partner, Israel is a democracy, our wars are all carried out in self-defense and so on. The media repeated such misleading notions in unison. Palestinians, oppressed, occupied and disowned were duly demonized. Those who knew the truth about the situation either faced the risk of speaking out – and suffered the consequences – or remained silent. Justice for Palestinians, which once appeared as if a ‘lost cause’ received a massive resurgence during the Second Palestinian Intifada (Uprising) in 2000. Growing awareness resulting from the dedicated work of many intellectuals, journalists and students saw the arrival of thousands of international activists to Palestine as part of the International Solidarity Movement (ISM). Academicians, artists, students, religious officials and ordinary people came to Palestine and then fanned out to many parts of the globe, utilizing whatever medium available to spread a unified message to their numerous communities. It was that groundwork that facilitated the success of the Boycott, Divestment and Sanctions movement (BDS). Established in 2005, BDS was a call made by Palestinian civil society organizations to people around the world to take part in exposing Israeli crimes and to hold accountable the Israeli government, army and companies that benefit from the subjugation of Palestinians. With large and growing networks already in place, BDS spread quickly and took the Israeli government by surprise. In the last decade, BDS proved resilient and resourceful, opening many new channels and platforms for discussions on Israel, its occupation, Palestinian rights and the moral accountability for those who either support or ignore Israel’s violations of human rights. What worries Israel most about BDS is what it calls the movement’s attempt to ‘delegitimize’ Israel. Since its inception, Israel has fought for legitimacy. But it is difficult to achieve legitimacy without respecting the rules required for a country to be legitimate. Israel wants to have it both ways: sustain its profitable occupation, test its latest weapon technology, detain and torture, besiege and assassinate while receiving international nods of approval. Using threats, intimidation, cutting off of funds, the US and Israel have labored to silence criticism of Israel, the US main ally in the Middle East, to no avail. As recently as days ago, a United Nations report said that Israel has established an ‘apartheid regime’; although the author of the report, Rima Khalaf resigned under pressure, the genie cannot go back to the bottle. Progressively, BDS has grown to become the incubator of much of the international censure of Israel. Its early impact included artists who refuse to entertain in Israel, then companies started to shut down their Israel operations, followed by churches and universities divesting from Israeli economy. With time, Israel has found itself facing a unique, great challenge. So, what is Israel to do? Ignoring BDS has proved dangerous and costly. Fighting BDS is like launching a war on civil society. Worse, the more Israel tries to disrupt the work of BDS, the more it legitimizes the movement, offering it new platforms for debate, media coverage and public discussions. In March 2016, a large conference brought together Israeli government officials, leaders from the opposition, media pundits, scholars and even entertainers from Israel, the US and elsewhere. The conference was organized by one of Israel’s largest media companies, Yediot Achronot. It was a rare display of unity in Israeli politics; hundreds of influential Israelis and their backers trying to forge a strategy aimed at defeating BDS. Many ideas were put on the table. Israeli Interior Minister, Aryeh Dery, threatened to revoke the residence of Omar Barghouti, BDS co-founder and one of its most effective voices. Intelligence and Atomic Energy Minister, Israel Katz, called for the ‘targeted civil elimination” of BDS leaders, signaling Barghouti, in particular. Public Security Minister, Gilad Erdan, wanted BDS activists to ‘pay the price’. The war on BDS had officially started, although the groundwork for that battle was already in motion. That same month, Canada passed a motion that criminalizes BDS. A couple of months earlier, the US Senate passed the Anti-Semitism Awareness Act, conflating the definition of anti-Semitism to include criticism of Israel on US campuses, many of which have responded positively to the call made by BDS. Eventually, the UK adopted a similar definition equating between legitimate anti-Jewish hate crimes and criticism of Israel. More recently, Israel passed a law that bans individuals accused of supporting the BDS movement from entry to Israel. Considering that entering Israel is the only way of gaining access to the Occupied Palestinian Territories, the Israeli ban aimed at severing the strong rapport that has been connecting Palestinians to the global solidarity movement. 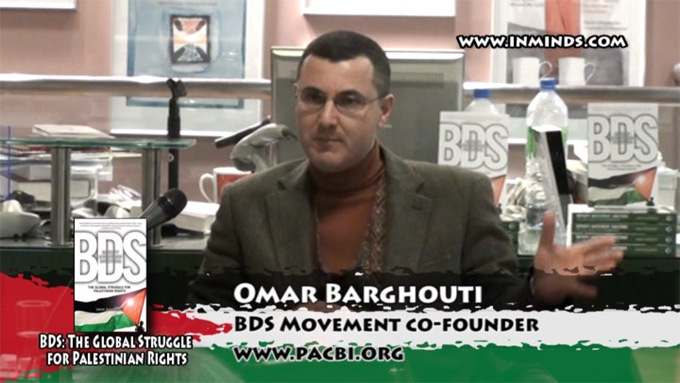 The anti-BDS campaign finally culminated in the detaining and interrogation of Omar Barghouti himself. On March 19, Israeli tax authorities detained Barghouti and accused him of tax evasion. By doing so, Israel has revealed the nature of the next stage of its fight, using smear tactics and faulting leading activists based on charges that are seemingly apolitical in order to distract from the urgent political discussion at hand. Along with other steps, Israel feels that defeating BDS is possible through censorship, travel bans and intimidation tactics. However, Israel’s war on BDS is destined to fail, and as a direct result of that failure, BDS will continue to flourish. Israel has kept global civil society in the dark for decades: selling it a misleading version of reality. But in the age of digital media and globalized activism, the old strategy will no longer deliver. Regardless of what transpires in the case of Barghouti, BDS will not weaken. It is a decentralized movement with local, regional, national and global networks spanning hundreds of cities across the world. Smearing one individual, or a hundred, will not alter the upward movement of BDS. Israel will soon realize that its war on BDS, freedom of speech and expression is unwinnable. It is a futile attempt to muzzle a global community that now works in unison from Cape Town, South Africa to Uppsala, Sweden.